Looking for baby bottle coupons or deals? 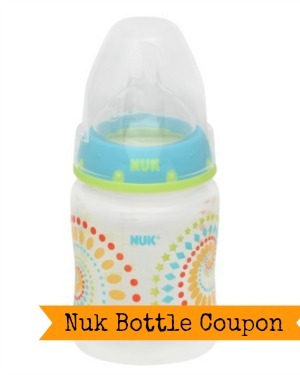 There is a very rare BOGO Nuk Bottle coupon today that you don’t want to miss. These bottles are regularly around $5, so even if you pay full price you are still getting each bottle for $2.50. I found this under zip code 77477. They are on sale this week at Target for $4.33. Use the printable coupon and you’ve got each bottle for $2.16! Even if you don’t have a baby, this would be perfect for a baby shower gift or to print and leave in the church nursery to help others out.